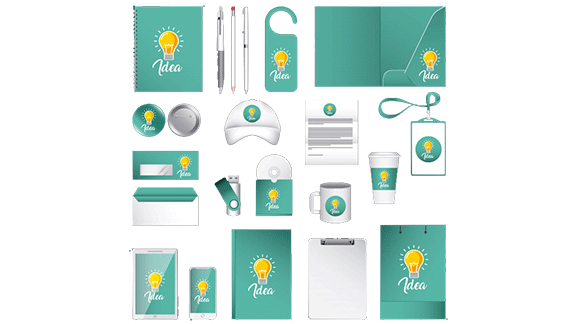 Corporate Identity the concept of branding is very important for the business corporations to stand out distinguished from others in the competition and takes lot of planning, grooming and maintenance. It takes time and patience to develop an effective brand, both in the creation and the implementation phase. Brand is the public image of a business, product or individual. It is reputation. It is a promise. When delivered consistently, a brand shapes consumers perceptions and expectations. A winning brand celebrates personality, honors values and embodies the spirit of the subject that it represents. The purpose of a branding strategy is to build up clear, compelling, consistent messages that are effortlessly delivered. An excellent brand contains messages that can speak to manifold audiences. A vital part of developing a branding strategy is the creation of a strong logo though the logo is not the brand but part of your brand. The visual element symbolizes the brand and plays a great role in establishing an emotional connection with the product. Integrating the logo into all media communication through brochures, advertising, videos, fact sheets, newsletters, the website and social media, is an important part of building brand identity.